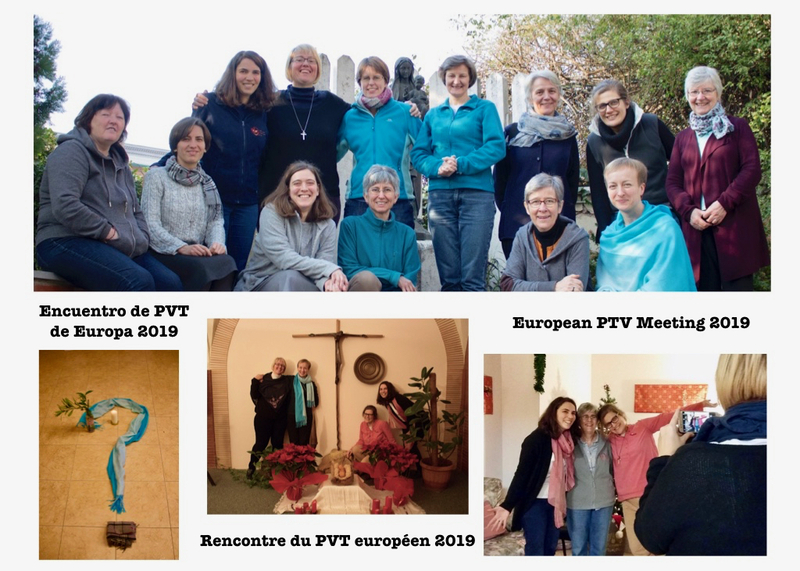 At the turn of the year from 2018 to 2019, the Professed of Temporary Vows (PTV) from France (Agnes and Pauline), Hungary (Kata), England (Siobhan), Ireland (Barbara) and Poland (Alicja, Barbara, Ewa) met in Rome. We were accompanied by our formators (Dorota, Steph, Carmen, Panni oraz Benedict). The main theme of the meeting was COMMUNITY; and this gave us the opportunity to share our daily experiences of living together –- the joys, difficulties, and invitations to grow in community life. We started every day with prayer, which gathered us around Jesus and let us discover His presence among us. We had an input from Isabelle Lagneau from the Central Team who shared from her own experience about how to find the balance among the many aspects of an RSCJ’s life. We also had a conversation about our views on the future of the Society, especially as we prepare for the 2021 Special Chapter. Each of us built a “human sculpture,” expressing how she sees her own Province; and then together we created a big sculpture of our shared vision of the Region of Europe. We appreciated the time spent in the Mother House, interacting with the community there. On New Year’s Eve, after the thanksgiving mass in the local parish, we prayed together in the chapel of the Mother House and then watched the fireworks from the terrace.